The Mobility Station provides a fast and simple way to wake up the body’s metabolism and train mobility at the same time. 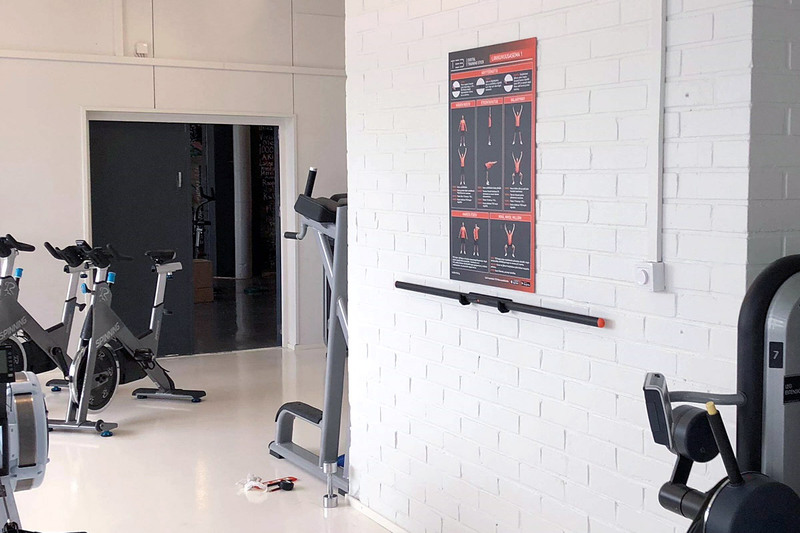 Whether you are at a gym or in an office, a short exercise with the station will give you a boost for your next task. And what’s best, during the exercise, you will focus only on the exercise and forget everything else, thanks to the guiding vibration. Horizontal and vertical movements should be balancedo (straight lines). The most common mistake in these movements is having the other side of the body lower than the other. 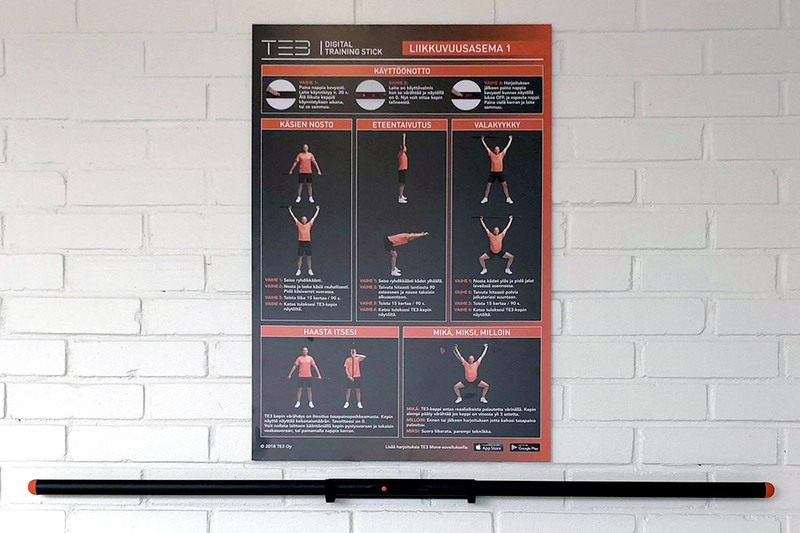 The Mobility Station 1 will help you to keep your lines straight and balanced. For example, if your left side starts to fall lower, the TE3 Stick will warn your left side immediately with vibration. This is a sign for you to fix your posture and bring your body back to balance. The stick also counts how many times you lose control during the exercise, providing an easy way for you to follow your progress or challenge your mates.